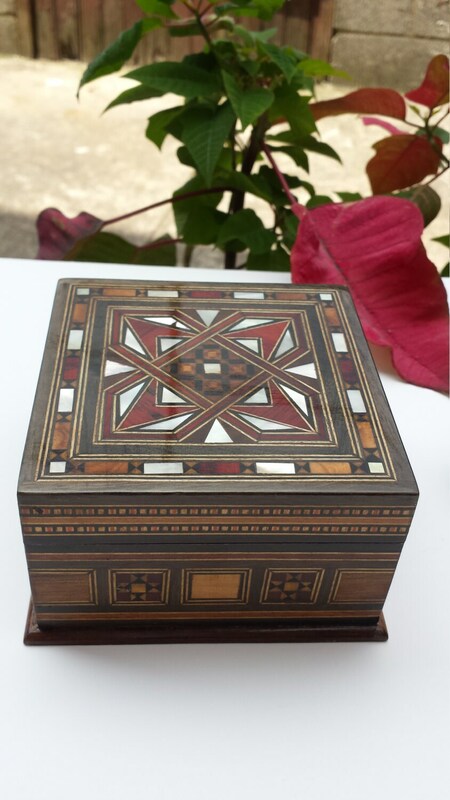 Handmade, woodwork, is composed mostly of solid walnut, then inlaid with a variety of different fruit woods and mother of pearl. 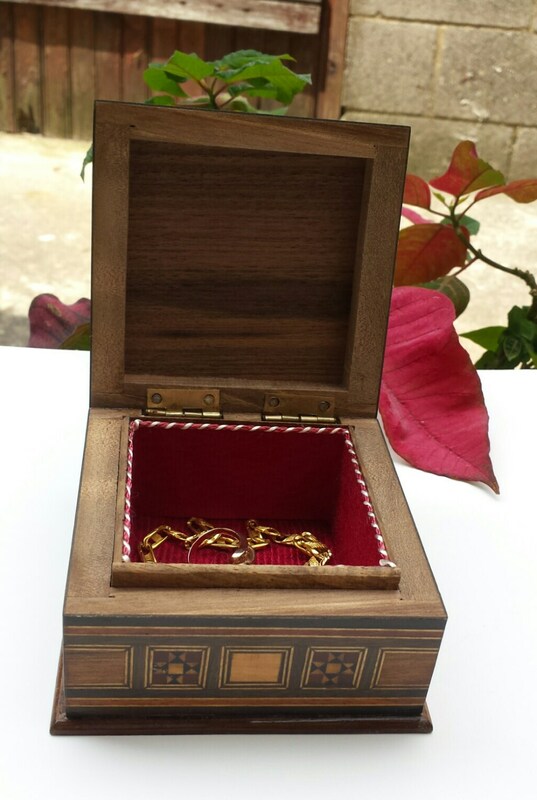 The interior of the box is padded with red colored velvet. This product is skillfully and painstakingly carved by hand. These works of art are of the highest quality with each color representing a different kind of wood. 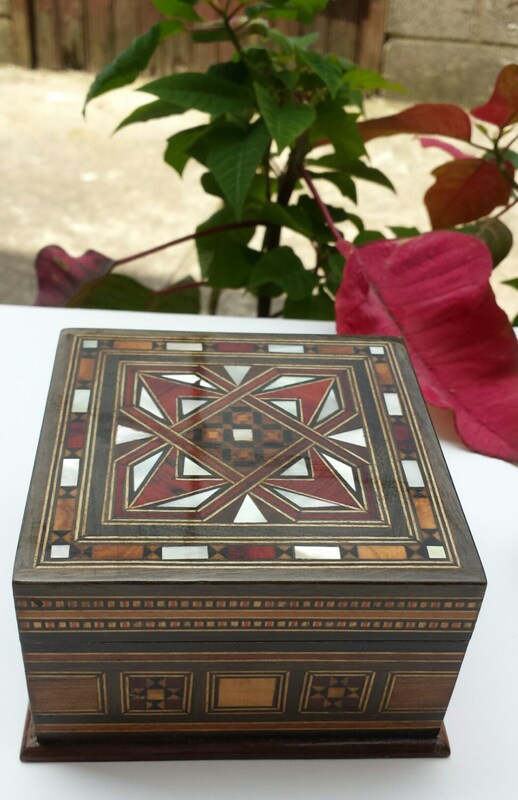 Beautifully grained walnut wood is traditionally the base material for this item and is offset by other woods including peach wood, apricot wood, rose wood, lemon wood, and olive wood each with subtly contrasting colors and grains. The highlight of this and many items is genuine mother of pearl that dazzles and changes color in the light. 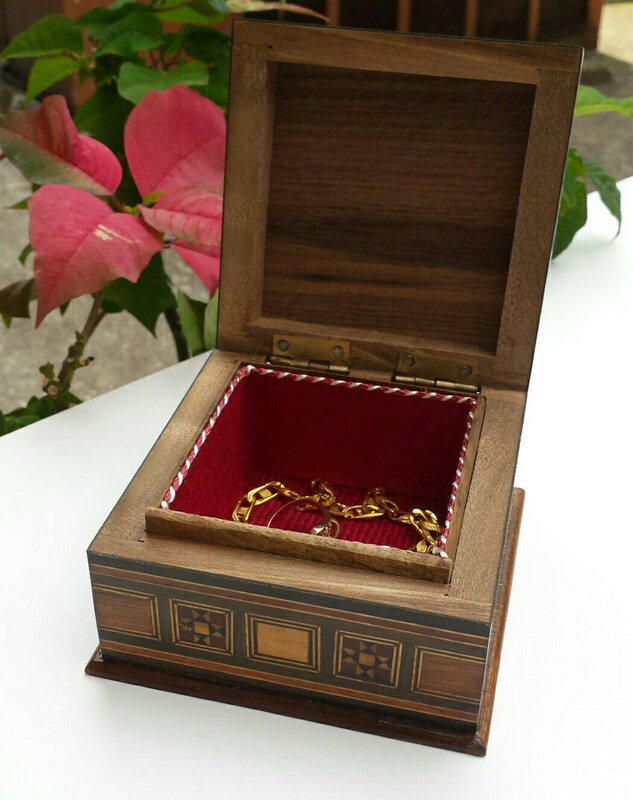 All of our products are handmade by traditional Syrian artisans working in Syria or in neighboring countries. 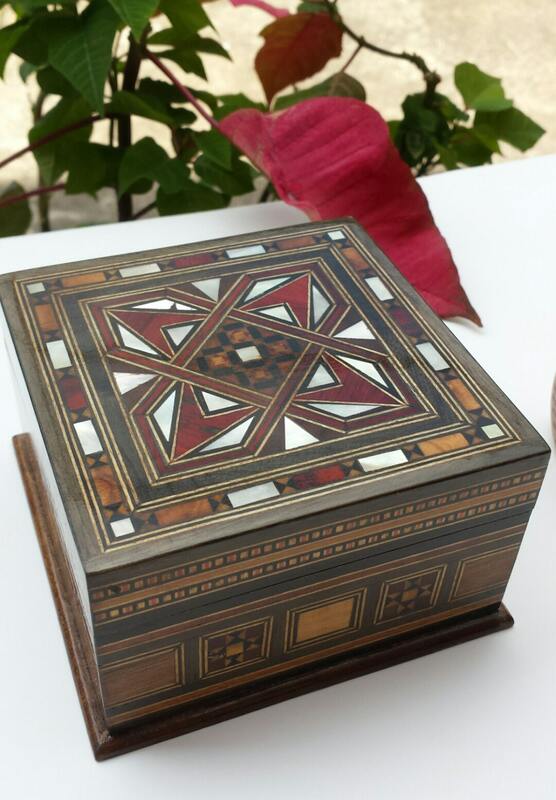 Each item is a piece of art, stylish and modern but timelessly infused with the historical spirit of the Middle East. Nice gift for men and women of all ages. There was a slight problem with my order but it was quickly dealt with. I could not have asked for a better product or customer service. 10/10!